A NEW DAY MAGAZINE #106 & 107 OUT NOW. 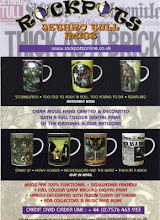 "A NEW DAY", THE JETHRO TULL MAGAZINE, #106 & 107 OUT NOW. El magazín sobre Jethro Tull que edita Dave Rees, A New Day, acaba de salir a la calle en un número doble, exactamente los números 106 y 107. Recién llegado a casa, intentaré resumiros aquí lo más interesante de cada revista. Empezando por la edición 106, cuya portada es una foto de Anderson con Opahle actuando en uno de los conciertos de Navidad que hicieron, concretamente en la Catedral de St Nicholas, en Newcastle el 14 de Diciembre pasado, Dave abre con una importantísima notícia que ya nos habíamos echo eco en nuestro facebook hace algunas semanas. Se trata de la decisión por parte de EMI de reeditar en formato "Special Edition" los álbumes Benefit y Passion Play. Ámbos CDs seran remezclados por el genio Steven Wilson de nuevo (que acaba de comentar en la revista Prog que no remezclará más álbumes de EL&P porque no ha sido precisamente una buena experiencia para él), y aun no hay noticias de si los remasters incluiran algunos temas inéditos como extras. Tambien sabíamos que Anderson está preparando un disco nuevo. Dave nos informa que el genio escoces ya ha escrito las letras del disco, que empezará a grabarlo en Noviembre para su posible publicación en Marzo de 2014. Martin Barre tambien anda metido en la grabación de su nuevo disco y pretende editarlo en primavera o verano de éste año. 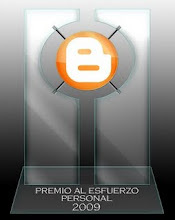 "Es raro. Te sabes tan bien las canciones, practicamos y obviamente re-aprendimos la música durante una semana antes del show, pero subimos al escenario y de repente se te olvida el siguiente acorde. Hubo momentos esta noche que pensaba que un loco saltó al escenario y comenzó a cantar". 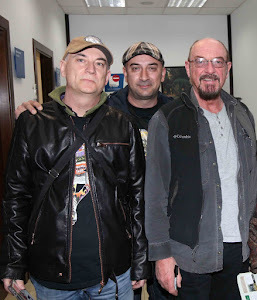 Sobre el resto de la revista, se incluyen críticas sobre los conciertos de la Martin Barre´s New Day por Reino Unido, y sobre los conciertos en solitario de Ian Anderson estas navidades por catedrales europeas, una extensa entrevista a Ryan O´Donnell, el vocalista que actualmente está de gira con Anderson promocionando TAAB 2, y algunas reseñas de revistas sobre el libro de entrevistas escrito por Rees Y Webb, The A New Day Tapes Volume One. El siguiente número, el 107, con un magnífico collage de fotografias de Ian Anderson de giras de los años setenta, creo que de Warchild, TAAB y Heavy Horses,en la portada, incluye una corta entrevista a Anderson donde nos cuenta que anda ya muy metido en la producción del siguiente disco, con letras acabadas, intención de grabarlo en Noviembre y de presentarlo en directo al publico en 2014. Al parecer, segun comenta Ian, volverá a ser un álbum conceptual, mucho más rockero, con mucha guitarra electrica y flauta y que puede tener una conexión con TAAB 1 y 2. Como comentó en Vintage TV hace poco, el álbum volverá a tener la colaboración de Gerald Bostock, quien ha estado aprendiendo a tocar la guitarra eléctrica a la manera del Heavy Metal. Parece ser que el disco puede ser la tercera y final parte de TAAB, Una trilogía?. A continuación hay una extensísima entrevista a Martin Barre donde nos habla de su experiencia con su nueva banda, y el proyecto de su nuevo disco, "empezé a grabarlo en Enero y el álbum pretendo tenerlo listo en verano. Será un disco instrumental excepto tres temas que tendran la voz de Dan Crisp. 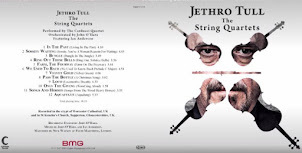 Todos los temas seran Tull mezclados con mis propias composiciones, muy acústicas, muy clásicas versiones de Jethro Tull. No quiero tontear con las canciones. Son versiones muy respetuosas con las originales. Pero suenan de una manera fantástica. Conseguí que Dan hiciera Still Loving You Tonight. Haremos una versión de Slow Marching Band, que es una gran canción. Sonaran un poco diferentes". La revista entra ahora en su seccion de Criticas de Discos y DVDs, con una nueva grabación que se puede conseguir en Amazon en formato DVD. Se trata de "Tangled Up In Tull", que no es sino una versión pirata (otra más) del DVD original de Blue Eyes, Tullavision, y que recogía una parte del concierto que Tull dieron en Tampa, Florida, en 1976. 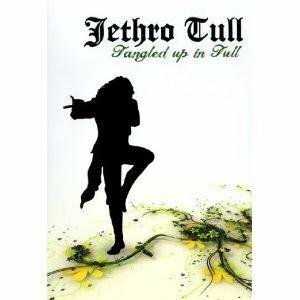 Luego Martin Webb nos ofrece su capítulo 15 de Paperback Writer, que no es otra cosa que hablarnos de los ultimos libros que han salido a la venta referidos a Jethro Tull. 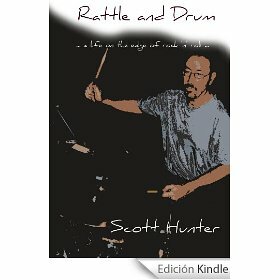 Se habla (y muy bien) del libro de Vicente Alvarez, Jethro Tull y el Faro de Aqualung, Rattle and Drum, una pequeña biografía sobre Scott Hunter, quien tocó brevemente con Tull en el álbum Catfish Rising, y la autobiografía de Tony Iommi, guitarrista de Black Sabath, que estuvo a punto de formar parte de la historia de Jethro Tull. De hecho llegó a tocar en el famoso Rock And Roll Circus de los Stones. La revista se completa con Cartas al Editor, un recordatorio a la banda tributo Cold Flame y (sorpresa! )la confirmación de que la próxima convención de Tullianos será el 6 de Julio, en Gava, con la confirmación de la presencia de Martin Barre Band, posiblemente con Barlow a la batería, y de la violinista Judith Mateo y el flautista Fernando Ponce De León. La querida Judith me ha confirmado personalmente su presencia, y dice estar muy contenta por poder estar alli. ¿Algo que decir, querido Albert Villanueva?. Otro gran trabajo de nuestro amigo. Bueno. Terminando, decir que estamos ya impacientes de que salga el próximo numero y vengan con muchas buebnas noticias como éstas. 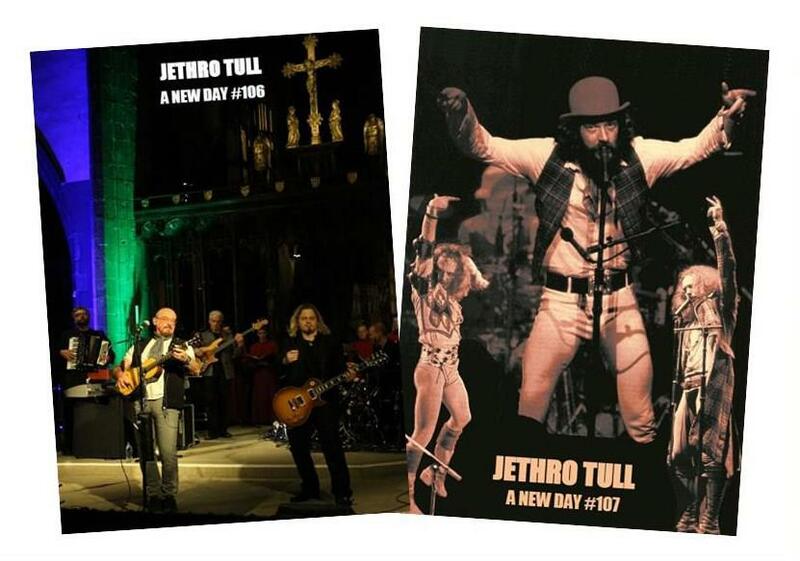 The Jethro Tull magazine published by Dave Rees, A New Day, just go out in a double issue, exactly the numbers 106 and 107. Just arrived at home, I will try to resume here the most interesting of each journal. Starting with the 106 edition, whose cover is a photo of Anderson with Opahle acting in one of the Christmas concerts they did, particularly in the Cathedral of St Nicholas in Newcastle on December 14 last, Dave opens with important news that we posted in our facebook page some weeks ago. This is the decision by EMI to release, in a "Special Edition" format, the albums Benefit and Passion Play. Both CDs will be remixed by the genius Steven Wilson again (whose comment on the magazine Prog not to remix more a EL & P albums because it has not exactly been a good experience for him), and still no news on whether the remasters will include some unreleased tracks as extras. We also knew that Anderson is preparing a new album. 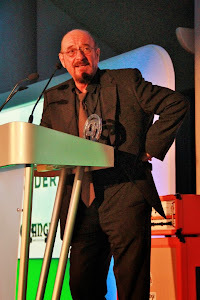 Dave informs us that the Scotsman genius has already written the lyrics of the album, which will begin recording in November for possible publication in March 2014. Martin Barre also is involved in the recording of his new album and intends to edit it in spring or summer this year. "It is weird. You know the songs so well, we obviously practised and re-learnt the music for a week before the show, but you get on stage and suddenly you forget nine. There were times tonight when I thought a nutter had jumped on stage and started singing". 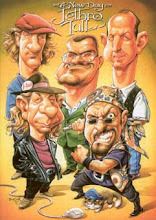 The rest of the magazine includes reviews of Martin Barre's New Day concerts in Britain, and solo Ian Anderson concerts in some european Cathedral this last Christmas, an extensive interview with Ryan O'Donnell, the singer who is currently touring with Anderson promoting TAAB 2, and some reviews in local magazines oabout the book written by Rees and Webb, The A New Day Tapes Volume One. The next number, 107, with a magnificent collage of Ian Anderson photographs on stage of 70´s Tours, I think of Warchild, TAAB and Heavy Horses, on the cover, includes a short interview where tells us that Anderson walks and very got into the production of the next album, with lyrics finished, intention to recording in November and present lit ive to the audiences in 2014. Apparently, according to Ian says, will be a concept album, much rock sound, with a lot of guitar and flute and that may have a connection with TAAB 1 and 2. As commented on Vintage TV recently, the album will have the help of Gerald Bostock, who has been learning to play the electric guitar in the style of Heavy Metal. It appears that the disc may be the third and final part of TAAB. A Trilogy?. Below is a very extensive interview with Martin Barre where he speaks of his experience with his new band, and draft their new album, "I started to record in January, and the album will be out early summer, and that will be instrumental three vocal tracks with Dan. 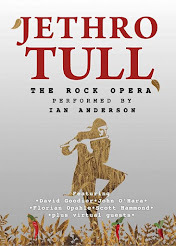 It will be all Tull, mixed with my compositions -very acoustic, very classic, very simpathetic versions of Tull music, so not doing anything with them to make them sound silly, very respectful versions. But they will sound great. And they´re very rare tracks. I´ll get Dan to do Still Loving You Tonight. We´ll do a version of Slow Marching Band, which is a great song-it will sound a lot different". The magazine now puts its reviews section about Discs and DVDs, with a new recording which is available on DVD at Amazon. It's "Tangled Up In Tull", which is nothing but a bootlegged version (another one) of the original Blue Eyes DVD, Tullavision, and that included a part of the concert that Tull did in Tampa, Florida, in 1976. Then Martin Webb offers its Paperback Writer Part 15, which is reviews about recent books that have been released relating to Jethro Tull. He speaks (and very good) about the book of Vicente Alvarez, Jethro Tull y El Faro De Aqualung, Rattle and Drum, a short biography about Scott Hunter, who played briefly with Tull in the Catfish Rising album, and Tony Iommi's autobiography, Black Sabbath guitarist, who was about to become part of the history of Jethro Tull. Actually he played with Tull in the Stones Rock and Roll Circus film. The magazine comes to end with Letters to the Editor, a reminder to the tribute band Cold Flame and (surprise!) the confirmation that the next Tullianos Convention will be July 6, in Gava, with the confirmation of the presence of Martin Barre Band possibly with Barlow on drums, violinist Judith Mateo and flutist Fernando Ponce De Leon. Judith confirmed to me personally their presence, and says she is very happy to be there. Anything you say, dear Albert Villanueva?. Another great work of our friend. Well. Finishing, say we're already looking forward to the next issue to come out and come with many good news like this. JMVELARDO.